Former Ambassadors have strongly urged African leaders and business entrepreneurs to prioritize the most sustainable development needs as the best approach to seeking Russian investors in fixing their economies in Africa when they converge this October for the first Russia-African summit planned in Russia’s southern coastal city of Sochi. In separate interviews, they believed what was abundantly clear how to stimulate African governments into exploring investment opportunities in Russia and Russian investors into Africa within some framework of mutual-cooperation. Former South African Ambassador, (H.E.) Mandisi Mpahlwa, said that Sub-Saharan Africa has understandably been low on post-Soviet Russia’s list of priorities, given that Russia is not as dependent on Africa’s natural resources as most other major economies. It is important to point out that Soviet and African relations, anchored as they were on the fight to push back the frontiers of colonialism, did not necessarily translate into trade, investment and economic ties, which would have continued seamlessly with post-Soviet Russia. “Of course, Russia’s objective of taking the bilateral relationship with Africa to the next level cannot be realized without close partnership with the private sector. Africa and Russia are close politically, but they are also geographically distant and the people-to-people ties are still far under-developed. This translates into a low level of knowledge on both sides of what the other has to offer. There is perhaps also a measure of fear of the unknown or the unfamiliar in both countries,” according to Mpahlawa. Former Ethiopian Ambassador, Professor (Dr) Teketel Forssido, said that one of the biggest problems has been keen competition from the United States, Europe, China and India as more developed countries with more advanced technological and development oriented solutions, and have become, for the past decades, ” investment patrons” in African countries. These are what Africa need, – foreign policy directed towards the development needs of Africa. Former Nigerian Ambassador, Air Commodore Dan Suleiman, told me that Africa’s drive for sustainable democratic governance backed by an enhanced economically viable environment is of paramount importance. Many African leaders are emphasizing the quest to eradicate poverty and give people a sustainable environment for budding democracy. 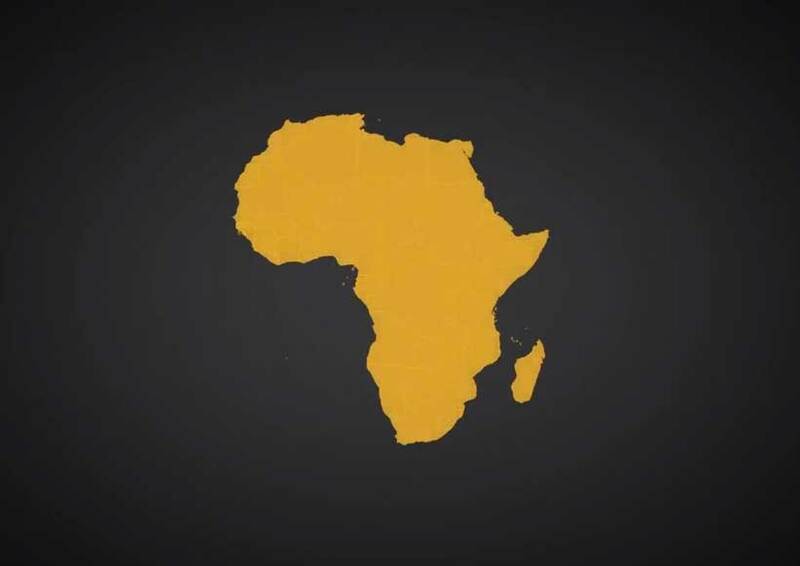 “It is Africa’s hope that foreign authorities will back us in this direction. It is important to remind foreign investors that investment opportunities for developing large and medium scale enterprises are abound in Africa. The importance of the informal sector in generating employment and promoting self-reliance through higher productivity. We implore Russian investors to take advantage of these new potentials,” Air Commodore Dan Suleiman stressed in his discussion. Undoubtedly, the Russian government stance on supporting the policy of Africa to employ plausible solutions to resolve their infinite problems should be extolled assertively, wrote former Tanzanian Ambassador, Dr Jaka Mgwabi Mwambi. Former Kenyan Ambassador to the Russian Federation, H.E. (Dr) Paul Kibiwott Kurgat explained in a recent interview discussion that any platform created for African leaders has to address thoroughly development-oriented questions, Kenya’s diplomacy has mostly focused on strengthening economic cooperation with foreign countries. “Looking at the global development, Kenya would always like to build on this long history of strong and comprehensive engagement, first and for most, through developing closer ties with Russia in trade, investment and economic cooperation. So, my advice is that African leaders have to think objectively, first about effective ways how to improve the economy,” he said. The Government of Kenya’s priority sectors range from infrastructure and energy development, industrialization and agriculture, manufacturing, tourism and among others. The development opens a myriad of investment opportunities to all potential foreign investors across the globe including Russia, Paul Kurgat added in his emailed comments from Nairobi, Kenya. Former Mozambican Ambassador to Russia, Dr. Bernardo Marcelino Cherinda, emphasized that the changes in Russia have provided a greater impetus for forging new diversified relations, especially in the economic sectors, in Africa. By this measure, African leaders have to relentlessly work towards a more effective cooperation and use political dialogue to remove obstacles that might hinder smooth progress and development. Whether they like it or not, African leaders have to make rational decisions to align their efforts and policies with this key goal of developing or building their economies, according to him. Both Russia and Africa have to facilitate participation in the private sectors, to get also involved in medium-sized economic partnership, joint ventures, agro-processing industries, health and education. African leaders do not have to, in the least, doubt the enormous potentials that exist for these, according to the former envoy. “And, I think it’s equally important Russia and Africa focus seriously on cultural aspects in their activities in order to bridge the widening information gap between the two countries. Russia has made the mark and it’s respected for its indelible historical achievements, literature and for the human values. The use of soft power as an instrument for new image-making initiatives has to be intensified,” Cherinda concluded. Stergomena Lawrence Tax, Executive Secretary of the Southern African Development Community (SADC), assertively stressed in discussion with Russian authorities that strengthening ties in a broad range of economic fields would show that SADC truly remains as one of Russia’s key partners in Africa. SADC is an inter-governmental organization with its primary goal of deepening socio-economic cooperation and integration in the southern region. Foreign Minister Sergey Lavrov and H.E. Dr. Nkosazana Dlamini-Zuma, the first woman to lead the bloc of 54 states, had discussed several times about Russian companies or industries participation in major infrastructure projects on the continent. Currently, Chad’s Moussa Faki Mahamat has also held discussion on Africa’s Fourth Industrial Revolution and has made efforts at enlisting Russia’s effective support for the Agenda 2063 of the African Union (AU). For the past one and half decades (since his appointment in 2004), Foreign Minister Lavrov has held in-depth discussions on the current situation in Africa and always pointed to the possibility of continuing to promote effective bilateral cooperation in many spheres and to work together towards using fully the existing potentials. He always reminds that Moscow firmly supports the principle “African solutions to African problems” within a framework of achieving the Sustainable Development Goals (SDGs) formulated by the African countries.